Food is art. 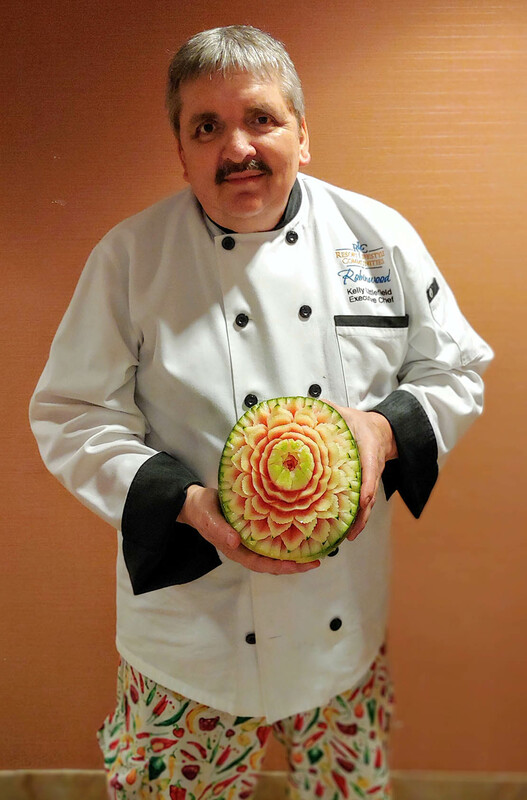 For Robinwood Retirement Resort's Chef Kelly Littlefield, produce is his canvas and his knife, a paintbrush. Known as the “Picasso of Kitchens” by many, Littlefield carves everything from avocados and eggplants to cucumbers and papaya. 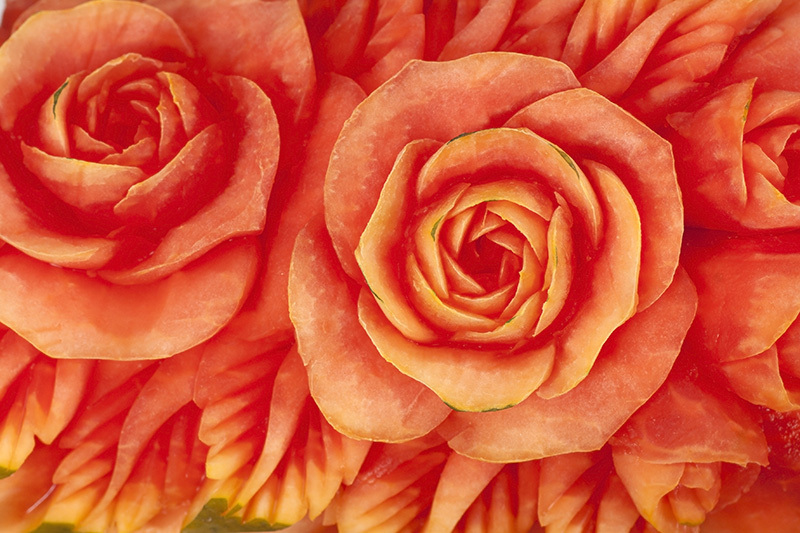 Some he turns into elegant floral arrangements like ornate radish peonies or mouthwatering watermelon roses and appetizing apples into beautiful birds. On occasion, he etches elaborate characters into pumpkins, squash, and gourds for holiday celebrations. He’s even cut life-size 3-D statues out of solid blocks of ice. For residents and guests at Robinwood Retirement Resort located in Bartlett, Tennessee, Littlefield makes their luncheons come to life with lavish dining experiences. Littlefield, who grew up in Las Vegas and now resides in Memphis, Tennessee, started carving award-winning culinary wonders shortly after graduating from culinary school in Louisiana. It was during a 2-year apprenticeship under a renowned Chef in Chicago that he learned the art carving. It all started with whittling four hundred pounds of ice into neo-classic inspired ice sculptures. Eventually, he graduated to more difficult and intricate designs with fresh fruits and vegetables. He uses a Thai knife – a sharp, thin, and flexible blade. Depending upon the detail his carvings typically take anywhere from 45 minutes to 2 hours in time. Touching people’s lives is important to Littlefield. His drive to brighten the lives of residents through his delectable designs is intrinsic. At an early age, he spent summers with his grandparents on the farm where they inspired his love for cooking. 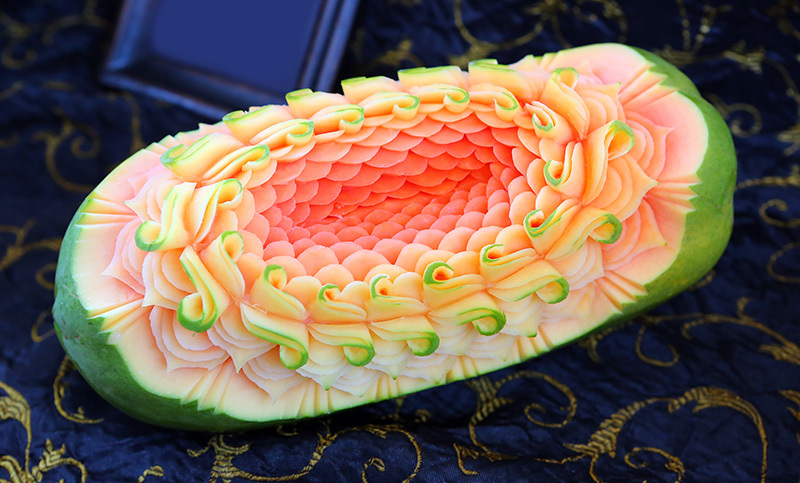 Littlefield refers to produce carvings as “Thai” carving because the masters of fruit carving are from Thailand. 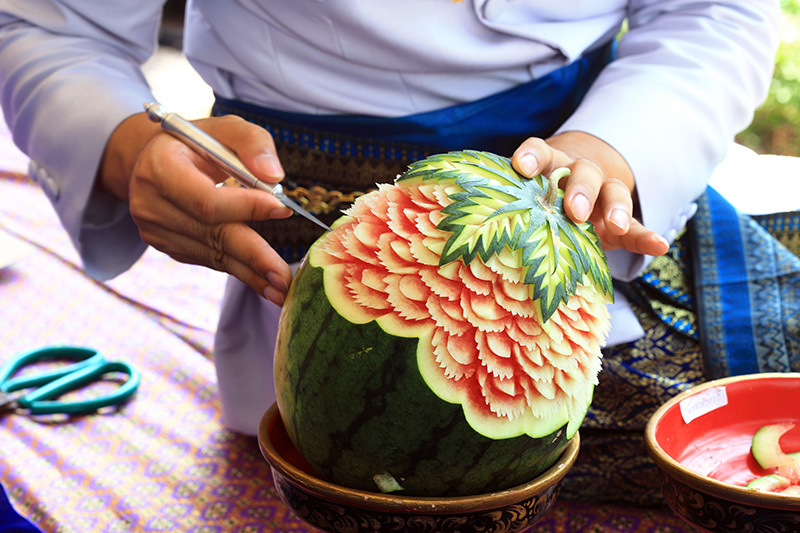 Thai carving is an age-old tradition that originated from chefs cooking for the royal family. Kelly continues the tradition constructing culinary creations for residents – whom he refers to as his family. The talent in Littlefield’s household doesn’t stop with him. On occasion, his wife joins the community on Sundays to share her mutual adoration for art, teaching art classes and drawing portraits for residents. What happens to all the creations when they’re done? They're eaten! “We smile seeing the thrill of enjoyment by others. Their appreciation inspires us to do our absolute best,” he says.